← Security Mis-configuration in the Corporate World! How Chaining Of Attack Vectors Gave Defencely an Upper Hand in Pentests!? Today as part of our ongoing efforts to spread cyber security awareness, we’ve taken measures to go an extra mile & bring you rich blog posts about tales & adventures at Defencely Lab. We are going to explain & demonstrate how we chained up critical information to gain access to millions of customer accounts in order to safeguard our valued clientele pro-actively. We are intentionally excluding the names of the target to stick to confidentiality clause which we’ve signed up. At this point, our readers should be able to have an analogy of the steps which are taken & mentioned in this post to get the complete picture of what’s happening. Understanding the workflow of the Application. Chaining up and Exploiting the vulnerability on the basis of Collected information. Our target had an Android Application as well as a Web Application giving ourselves a wide scope to start enumerating and having a general idea of how their applications were working at the back-end, we look our own research time to be spend wisely before we actually started to hit the targets. Working of the Web Application: This web application allows anyone to Sign Up for their services hosted on a particular sub-domain say example.target.com. And once you’re signed up as a normal user with the company you can upload your details and information related to you on the account to set it up according to the services offered. Working of the Android Application: This Android Application is of their Partners Portal. The Android Application was more interesting as this Application doesn’t allows everyone to sign up as a Partner, You need to verify yourself as a legitimate person having skills on the works they offer & submitting documents related to the work they are offering. We reverse engineered the APK file & The only thing which were similar between the Web App & the Android App was both their APIs which were connecting to the same domain but having different endpoints. So, this was going really interesting as we do not have access to any of their test credentials for the Partner’s Android App to test their API endpoints. We were only left with the reverse engineered files & codes on the desk. Now we have a basic idea about how things were working, let us jump into the technical understanding of the application and lets understand how we escalated this from having nothing to compromising millions of their accounts registered with the company. If you want to register yourself as a Partner you need to call them on a given number on the website to their 24 * 7 available customer support and can provide details they needed to verify yourself as a legitimate partner. So, what would you have done if you were at the same scenario we were? It’s obvious. We called them up & social engineered them to make them believe that we want to sign up as a partner and provided some legit looking details which were actually dummy details created at our end. The verification process was over, everything went fine. But they informed us that they will take couple of days to provide us the credentials to partner portal. 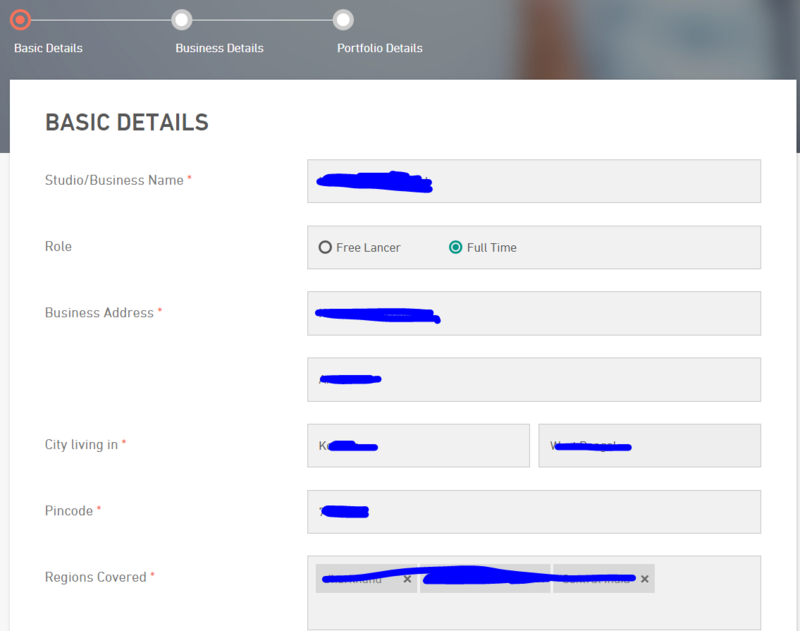 We know we have deadlines, 2-3 days was a long time and we can’t afford wasting time on just registering a account on their partner’s portal. If you remember we already have reversed engineered the APK file. So we went that way. We started looking into the huge source codes available. We were looking through the directory structures and found some susceptible files where we can now at least concentrate into. Above are the files we were specifically looking into. We started reading the codes of the ISignIn.java file. And within a couple of minutes we found something really interesting which took our attention and made everything clear about the Login mechanisms they were using and how they were Saving passwords to the databases at the back-end. Lets look at the code and understand the mechanism. This particular function took our attention which were sending some form-collected data into the POST parameters to the endpoint /ppapp/savepassword. I was pretty sure the developers were using this function to set new passwords for the users. But here the question arises. How we are going to exploit this vulnerability? If we look into the function, we can see the function getSavePassword takes three functions parameters in. We need to full fill the need of supplying three parameters to the function to make the request happen. You might have noticed they are changing the password of users putting mobile phone number as their uniquely identified kind a`key`. The first priority here is we need to have a mobile number already registered with the company. And to full fill the need we started enumerating other files which might throw us some more details regarding users already registered. While enumerating other files, we found another endpoint which seems to be related with the customer profile details or vice versa. We started searching where and how this endpoint @GET("/getprofilejson") is working by looking at the source codes left with us. We found that the endpoint @GET("/getprofilejson") is working with two HTTP GET parameters. Enumerating the source codes more and more gave us the values which were fitting into these two parameters. The `uri` parameter is taking a `location` which in my case was %2Feast%2Fassam%2Fbongaigaon%2F and `consumerId` was of 6 digit integer value, so i just passed a random 6 digit integer value ‘123456’ But nothing happened. I wrote a python script to bruteforce the `consumerId`. The API endpoint was throwing data’s at ‘391149’ which holds a token value for ‘example_profile_id’ and meant to be supplied as HTTP POST parameter on the endpoint @GET("/getprofilejson") as "example_profile_id=82f088332d0611e484950e2f866a9102" to get hold on the registered customer profile details. Our goals are achieved. Now we have a registered customer’s phone number. It’s time to code a exploit and make it happen. Lets jump into the last section of exploitation. A coded up exploit to account take over. 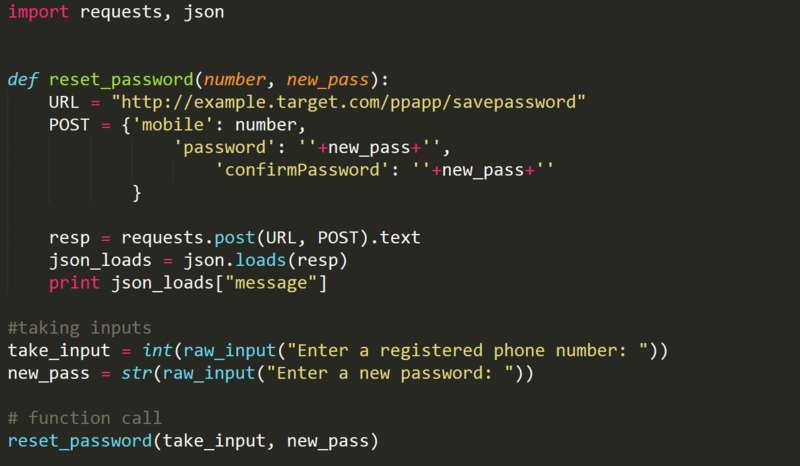 We finally coded a mass account take over exploit where the script grabs user’s phone number bruteforcing the `consumerId` and passing the token value retrieved from the response to get phone numbers of the users and finally the invoking the @POST("/ppapp/savepassword") endpoint to directly changing the password. That’s all we have for now. Let’s look forward to more amazement at Defencely Red Team Operations Labs next week for absolutely yet another amazing uncover story of how we’re adding value to our customerbase with insider threat program as well as routine sound-ful & an offensive Vulnerability Assessment followed by a Penetration Test for critical applications both at the staging level & production bases. Our manual security assessments methods have proved the best value. Feel free to touchbase at shritam@defencely.com, Shritam Bhowmick, Red Team Lead @Defencely for any Security Operations Related queries or say “Hi” to us at hi@defencely.com for inquiries. We should see you again next week with another operational tale of the broad security premises where 0days are always a possibility & at proximity of a security compliance issue which always will be a sooner or later decision by the Indian E-Commerce Management & stakeholders.